Q: What is online nutrition coaching? This is so much more than “here’s a meal plan, don’t eat sweets, good luck” approach to nutrition coaching that many have tried. Using an industry-leading curriculum, technology, and me as your coach guiding you along this 12 month program, you’ll receive true coaching that helps improve your mindset, nutrition, movement and overall quality of life. 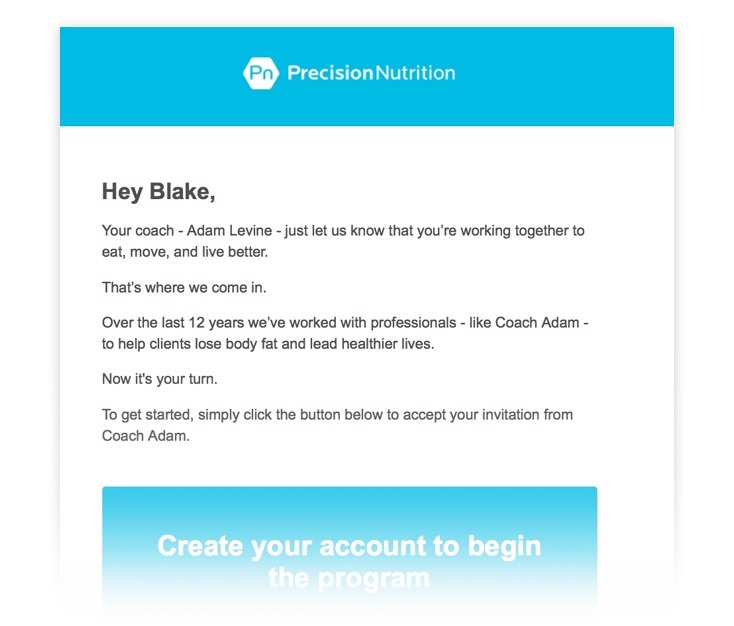 You’ll receive an email invitation from Precision Nutrition referencing me as your coach. Daily emails – You’ll get daily emails containing brief descriptions of what you should be working on and thinking about that day. These emails link to a special ProCoach homepage where lessons, habits, and assignments are outlined. Example of the daily emails you will receive. Daily Habits – Every 2 weeks you are presented with a new habit, something you’re asked to practice every day, to develop a particular nutrition or lifestyle skill. These habits are explained in detail on day one. 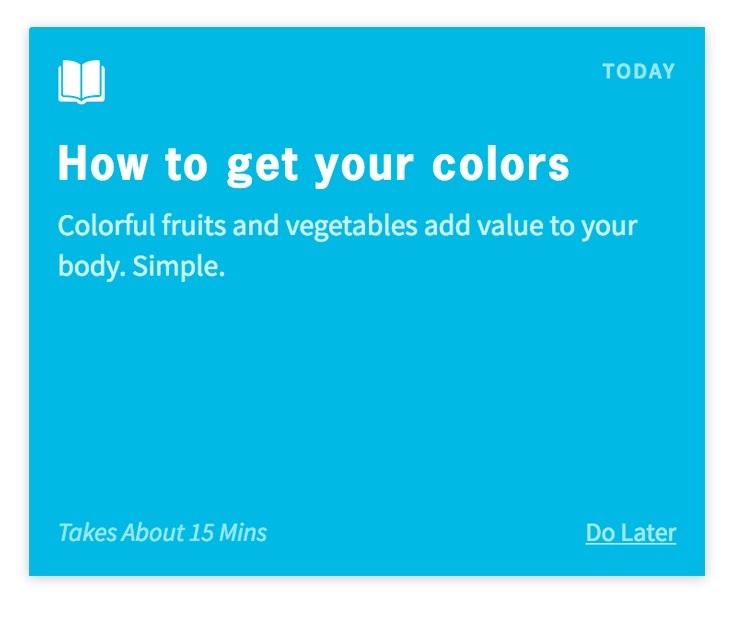 And every day after, ProCoach reminds you about your habit. 3.) 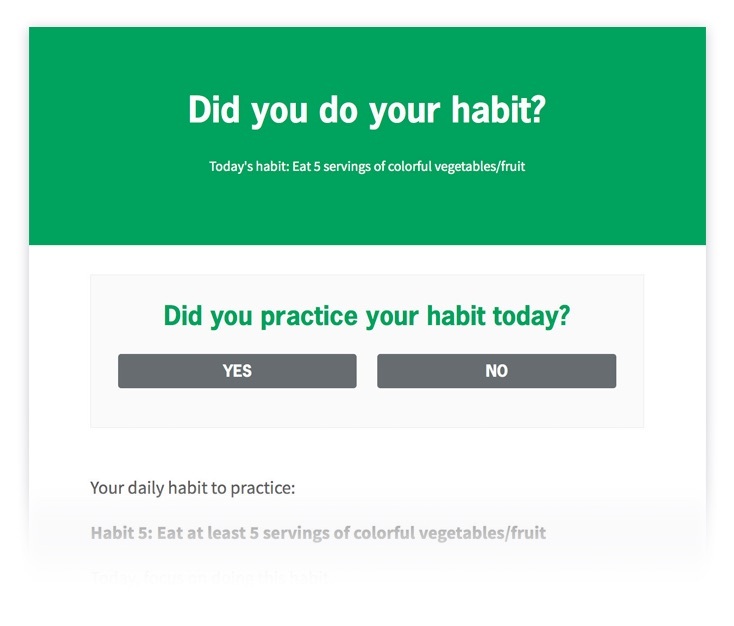 Daily habit checks – Every day you’ll also be asked to record whether or not you practiced your habit. 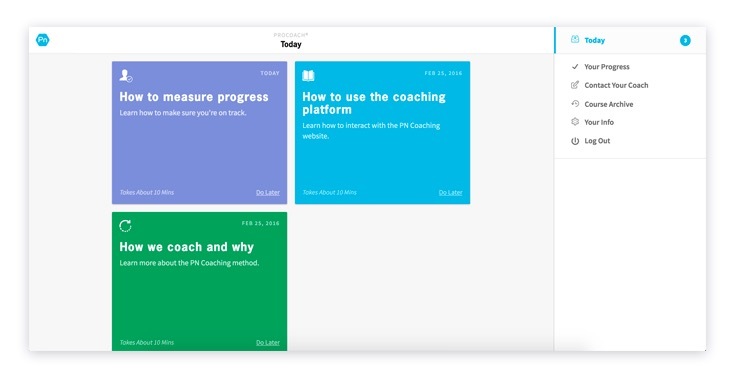 Consistency is tracked in a special “Progress” area of the ProCoach client interface. This helps you see how consistent you’re being. As your coach, I’ll also get access to these data in my admin area. 4.) 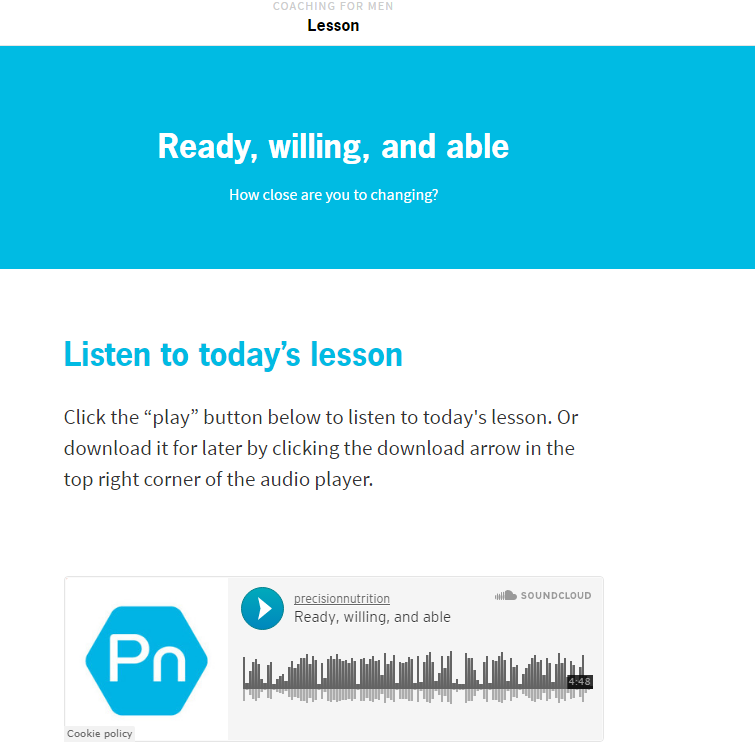 Daily lessons and assignments – To support the daily habits, ProCoach offers brief lessons in the form of articles, videos, audio files, and/or downloads. Client engagement with lessons and assignments is tracked in your progress area and recorded in my admin area. 5.) Regular progress checks – Every week or two, you are asked to provide your body weight, girths, photos, and other markers of progress, including subjective ones. These are tracked in the your progress area and recorded in my admin area (no information is ever shared, sold, or used without your explicit consent). 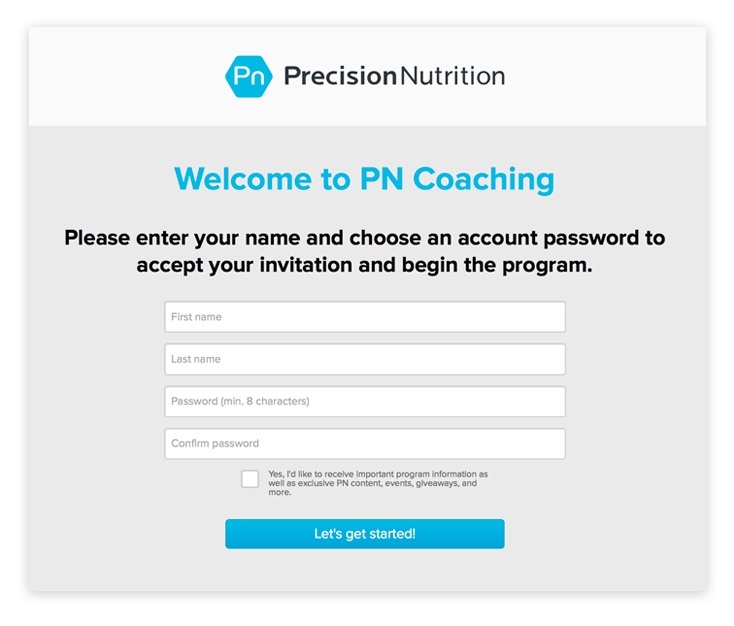 Precision Nutrition’s ProCoach is designed to help you benefit from world-class, habit-based nutrition coaching in an automated and affordable way. Q: Why are Precision Nutrition and ProCoach so special? I’m not sure if you caught the byline at the top of this page, but just in case you didn’t: I’m Dr. John Berardi, co-founder of Precision Nutrition. At Precision Nutrition, we have a world-class coaching team made up of doctors, exercise specialists, naturopaths, dietitians, nutritionists and counselors. PN has written for, or been featured in, these leading publications. And they’ve consulted with these organizations. Lots of people consider PN the world’s leading experts in nutrition coaching. That’s a big responsibility not taken lightly. I’ve personally been following the team at Precision Nutrition since they opened their doors. I became PN Level 1 in 2008 and more recently was part of their first ever PN Level 2 certification course – the same course and training that the PN Coaches go through themselves. I’m such a fan of PN because they have consistently wowed me with their level of expertise, compassion, and real-world approach to coaching that has helped me and all of my clients that I’ve used the PN curriculum and philosophy with. I’m incredibly excited to offer you the exact same software program they have used to help over 45,000 clients lose over 900,000 pounds! A: There’s nothing else like this. 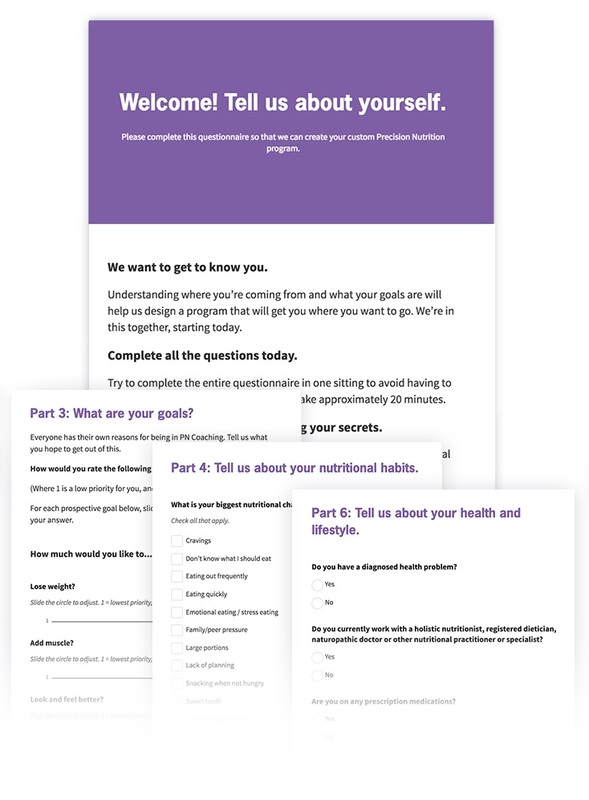 Here’s how those programs work: Your statistics and food preferences are inputted, the program spits out a meal plan, and you’re asked to follow that. But let’s say you are one of the few who can follow the meal plan. That’s great. How long can you (or will you want to) follow a specific menu? A year? 10 years? 25 years? Q: So what’s wrong with meal plans? A: In PN’s early days, they learned something the hard way: Meal plans and diets aren’t useful or sustainable for the vast majority of clients. Clients often feel like they’re either “on” them or “off” them. The black and white nature of a meal plan suggests that people have to eat perfectly at each meal (to match what’s listed in the plan) — or they’ve failed. It’s psychologically unpalatable and unsustainable. I might as well ask someone who’s only strong enough to bench press 135 pounds to do 405 pounds. No matter how badly they want to, they don’t have the skills or capacity. But these aren’t just intellectual objections. In PN’s experience, only 1 in 10 people can actually follow a meal plan for more than a few weeks. In the end, meal plans have such limited utility that PN left them behind, for most of their clients, a long time ago. Q: If you don’t offer meal plans, what do you offer? A: Instead of meal plans, we use something called habit-based (or practice-based) coaching. …you’ll get a series of 2-week habits — which are both solid and flexible — to help you build the skills necessary to make better nutrition and lifestyle choices today (and for life). In the end, rather than telling people what to eat for breakfast and when to eat it, you’ll get help building the skills (and daily habits) required to eat well, every day, no matter what life throws at you. You’ll also discover what’s right for you, in the context of your own unique life. That’s why the program’s results are so sustainable. This takes a month — two weeks for you to learn, practice, and repeat each habit. At the end of a month, you have two very important habits that you can now use for the rest of your life. You’ve learned it by doing it. 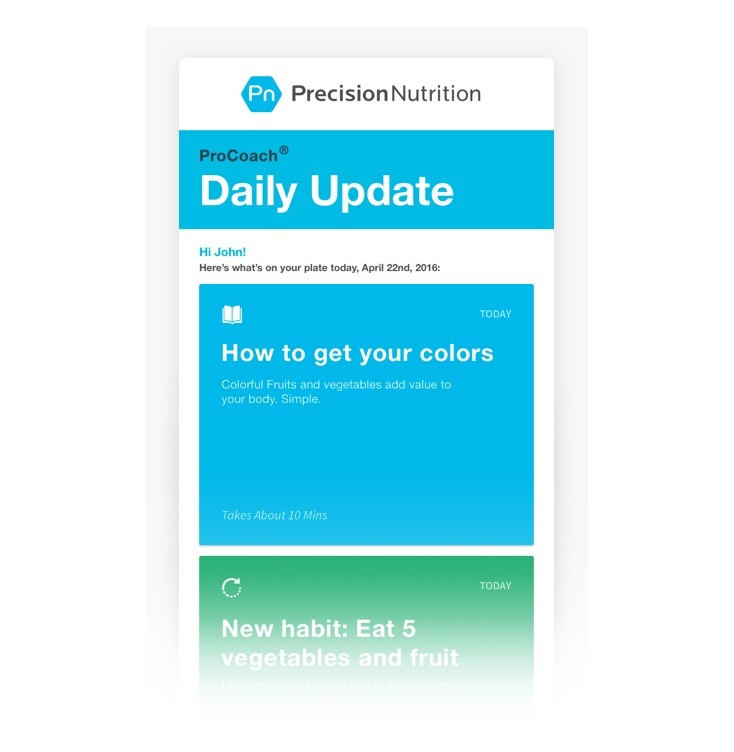 The ProCoach software delivers weekly habits (like the two above), supported by daily lessons and assignments, to help you not only eat better now — but also build the skills necessary to eat better for life. 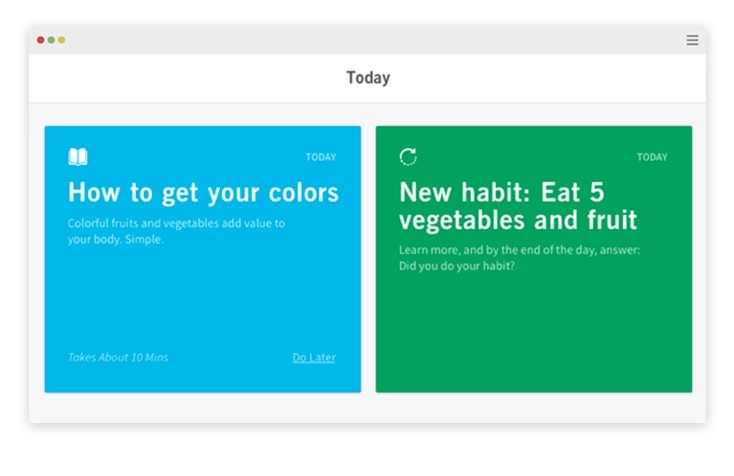 How lessons and habits are presented on your “today page”. It did to me at first too. But it grows on you. We also like the fact that it’s the only method that really works in the long run. You can’t argue with PN’s results. 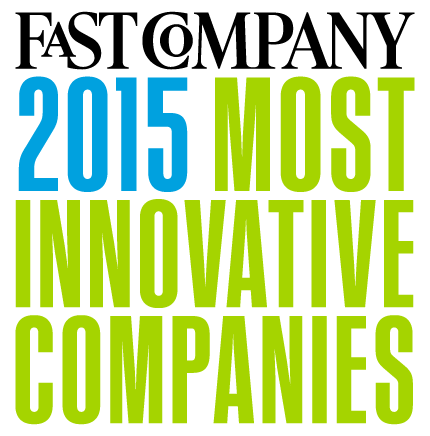 They’ve coached over 45,000 clients (who’ve lost 900,000 pounds) this way. The method has produced amazing transformations. You’ll find the right mix of all these foods for your goals, lifestyle, and preferences. You’ll see how to make meals suitable for you. And you’ll get help to stay consistent. Q: Since ProCoach is nutritionally agnostic, can I use it if I’m vegan or if I’m Paleo? As mentioned above, through lessons, assignments, and daily habits you’ll get help finding the right mix of plants, proteins, fats, carbohydrates, and calories for your goals, lifestyle, and preferences. Then, once you’ve built your unique “Owner’s Manual”, I’ll help you stay consistent with what’s best for you. Q: ProCoach looks awesome. How easy is it to use? A: It’s incredibly easy to use. You don’t have to be a computer expert or even particularly tech-savvy to make it work. We make sure everything is spelled out clearly for you. Q: You mentioned built-in client accountability. What does that look like? A: For real change to happen, clients have to practice healthy habits every day. You get daily emails containing brief descriptions of what you should be working on and thinking about that day. These emails link to a special ProCoach homepage where lessons, habits, and assignments are outlined. Every 2 weeks you are presented with a new habit, something you’re asked to practice every day, to develop a particular nutrition or lifestyle skill. These habits are explained in detail on day one. 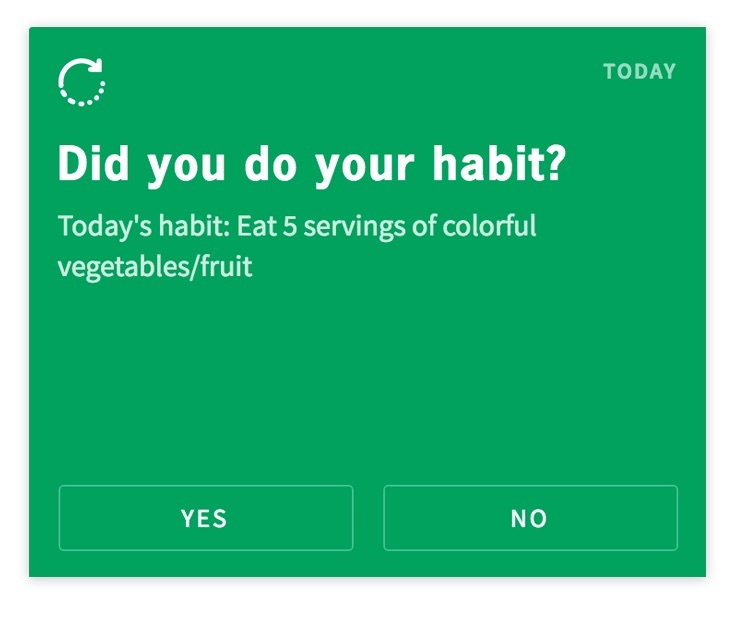 And every day after, ProCoach reminds you about your habit. Example habit / practice for you to follow. Every day you’ll also be asked to record whether or not you practiced your habit. 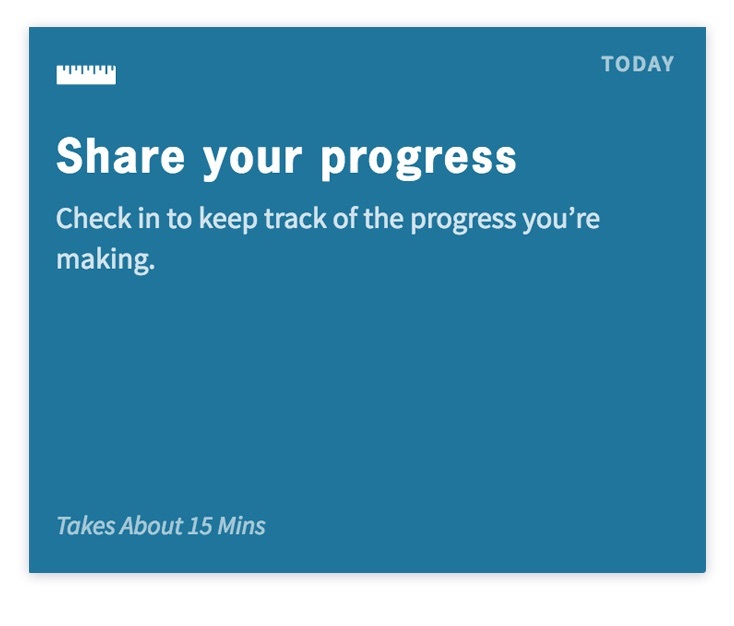 Consistency is tracked in a special “Progress” area of the ProCoach client interface. This helps you see how consistent you’re being. To support the daily habits, ProCoach offers brief lessons in the form of articles, videos, audio files, and/or downloads. Client engagement with lessons and assignments is tracked in the client’s progress area and recorded for your coach (me) to see. Every week or two, you are asked to provide your body weight, girths, photos, and other markers of progress, including subjective ones. These are tracked in the your progress area and only your coach (me) can see them. That’s an overview of the comprehensive client experience. Notice how it’s all automated. Q: What does the process look like to sign-up? A: Getting started is really easy. After payment (through paypal here) I’ll simply add you as a client to the program by including your name and email address. Adding you as a client is easy, I’ll just need your name, email address, and gender. Once added, you will receive an email telling you a bit more about the program and asking them to activate your account. This email will prompt you to create your own unique username and password. Once you’ve set up your username and password you’ll be taken to a special client home page. And you’ll fill out a comprehensive intake / assessment form. Once you’ve completed your intake form, you’ll begin receiving your daily lessons, assignments, and habits on the following Monday. Client onboarding lessons after completing intake questionnaire. In the end, the intake process is designed to be very simple and effortless. Q: What kinds of assessments are collected, and when? Once you sign up, you’ll fill out a comprehensive intake questionnaire. 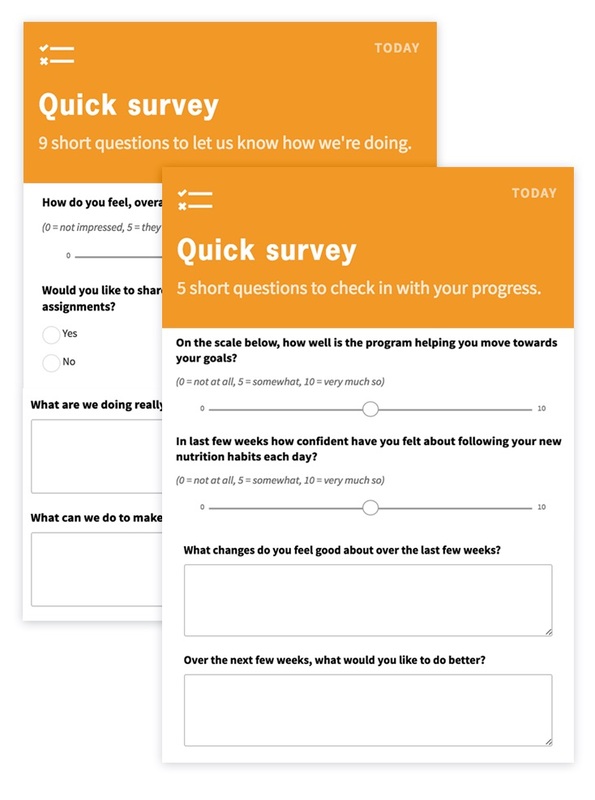 The questionnaire gathers a wide range of nutrition, fitness, and lifestyle information for me to help coach you better. Every few weeks, you are asked to provide body weight, girths, photos, and other progress indicators. 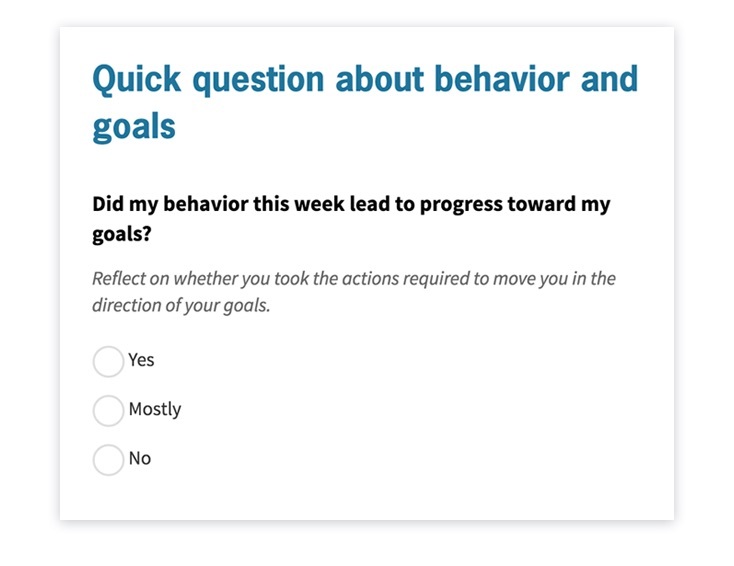 Also included are questions about whether you felt like your behaviors for the last week or so matched up with your goals. Q: Does ProCoach offer exercise advice, or just nutrition? Q: Can I get a look at the entire curriculum? Q: What is the philosophy of the curriculum? A: You can think of the ProCoach curriculum as an evidence-based framework that’s standardized, allowing for significant customizing on the client side of the program. You see, through the habits, lessons, and assignments, we ask you, the client to track your progress, gather data, and reflect on thought exercises. 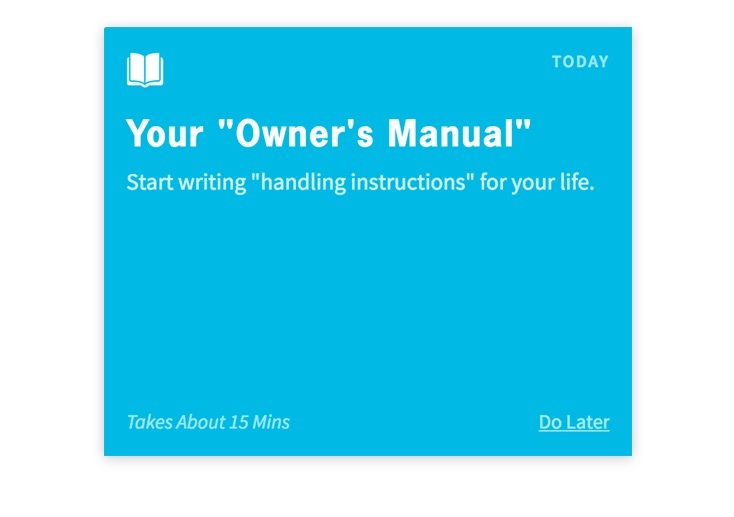 We’ll do this to write your “Owner’s Manual” — a collection of information and analysis about your life, body, needs, wants, and real-life-tested experiences. The Owner’s Manual empowers you to make informed decisions about your own needs, wants, and priorities (instead of your coach (me) telling you what to think or feel or do). It’s client-centered coaching at its best! So don’t think of the curriculum as a set of interchangeable habits and lessons. It’s not that. It’s a skill-building self-discovery tool that Precision Nutrition built using state-of-the-art psychological principles. Indeed, that’s what coaching is actually for. That’s what I’m here for. Again, PN has used ProCoach to help over 45,000 men and women to over 900,000 pounds lost. That’s a whole lot of — very diverse — clients. And the key has been to deliver customization on the client and coaching side, not on the curriculum side. A: The program delivers healthy eating and lifestyle habits over the course of a full year (12 months). Yes, this might seem like a huge commitment when compared to a 14 day cleanse or a 40 day fitness challenge. But consider what you get after you’ve invested 12 months towards this program. The curriculum builds an interesting change arc that culminates with some awesome experiences towards the end. Q: What happens at the end of the year? Once the year is up, the next steps are entirely up to you. Most clients will feel self-sufficient and in control of their nutrition and lifestyle choices. (After all, that’s the goal). At that point they’d graduate from the program – maybe throw a little celebration – and continue practicing their healthy habits. Other clients might choose to repeat the program (at a 20% discount for year 2). With habit-based programming, repeating the process only serves to deepen your experience. Think of it as “more reps” or “more practice” at healthy eating. Q: What if I want to gain muscle? However it’s not designed to teach clients how to eat for maximal muscle gain, maximal strength gain, or specific sports performance goals. Q: Where can I learn more about the pricing? A: Get more info on pricing here.